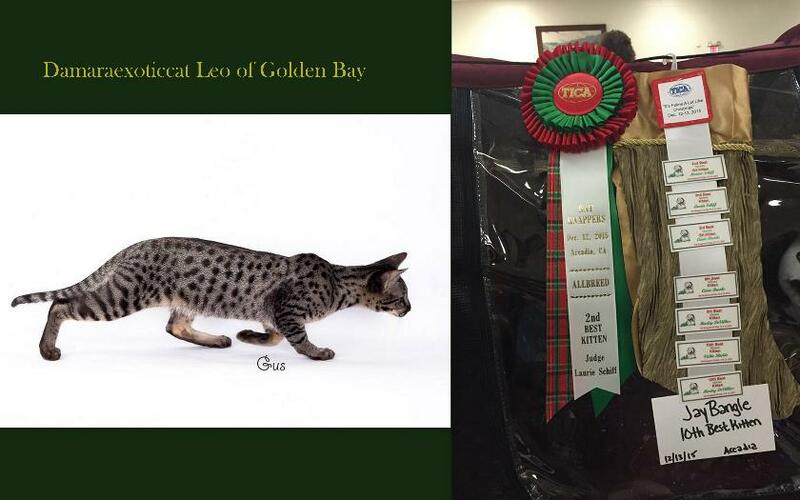 We are so proud of our two boys who are owned by Melanie and Josh Mullins of Golden Bay Bengals and Savannahs! Thank-you Mel and Josh for taking our boys to the top!!!!! We appreciate your time and hard work and all the your knowledge. Thank-you from the bottom of our hearts for your love and devotion to our boys and for promoting the Savannah Breed. Update on Leo and Cato 06/26/2016 we received some very exciting news for Melanie today!!!! 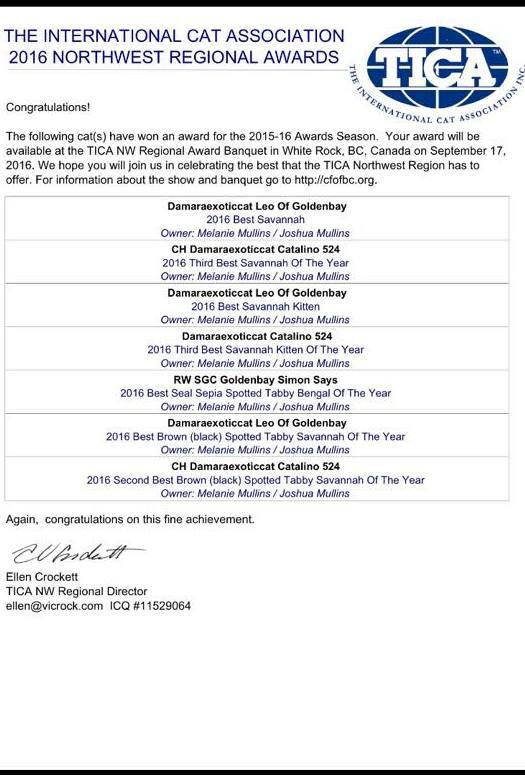 Our boys took the NW Region by storm in the TICA Shows we could not be more thrilled!!!!! Another huge thank-you to Melanie and Josh for showing our boys!! 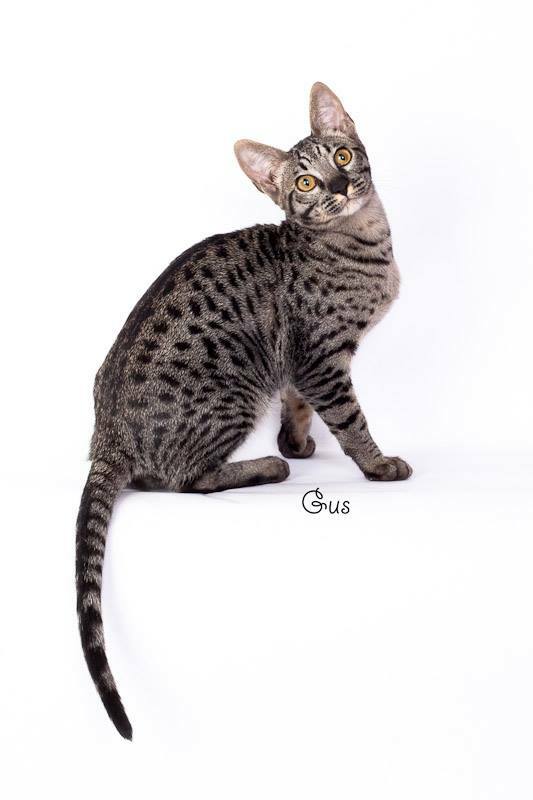 Damaraexoticcat Leo of Golden Bay is a full brother to Cato who is pictured below. 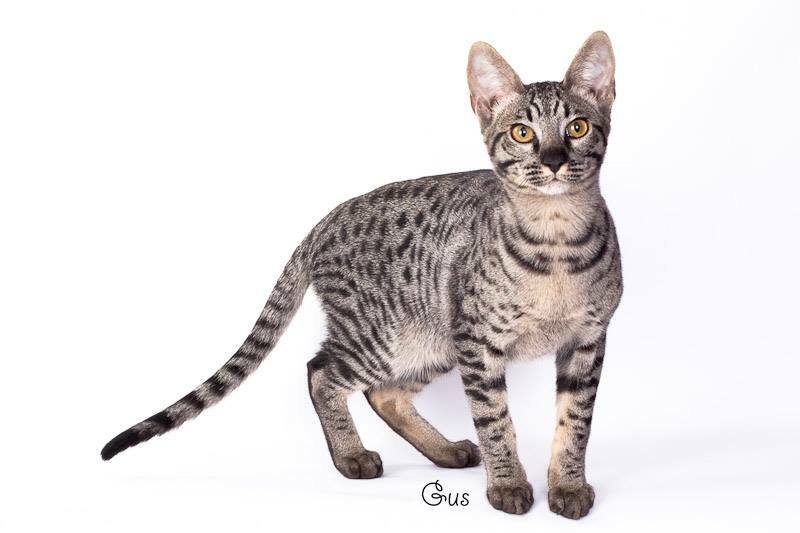 When this handsome baby boy was born, we knew he was going to be something special with his super exotic markings and that amazing coal black nose and so did Melanie, she called us up and said she just had to have this handsome boy and we were more than happy to oblige her. After all she already had his brother Cato and he was being so loved and treated just like a king so when Leo was old enough he went to live with his older brother Cato from a previous litter and the Mullins family. 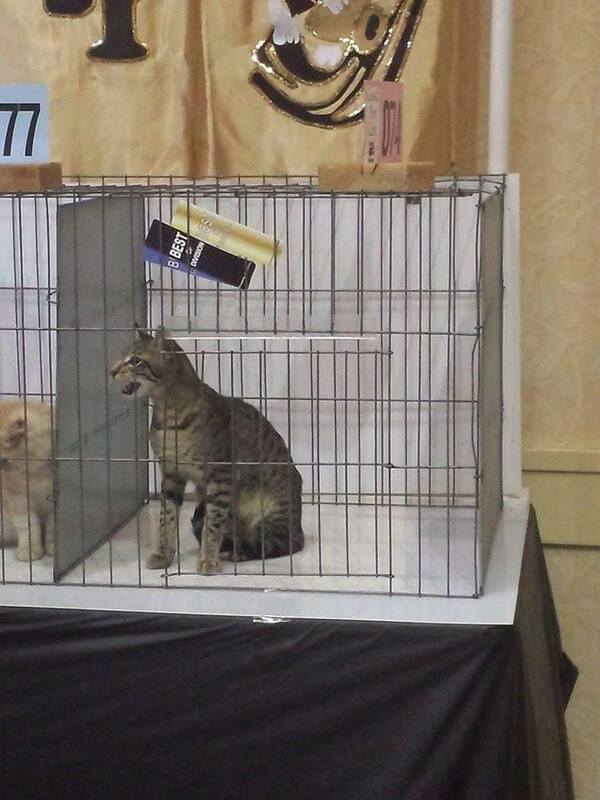 Leo has really made us proud at his very first TICA show he took 4 finals in the kitten classes and at his second show, he took 8 finals out of 13~!!! That is some kind of start Leo! Kittens cannot Champion but with this kind of a start we know he will take after big brother and become a CH at his first adult show. Leo is going to make headlines for sure. 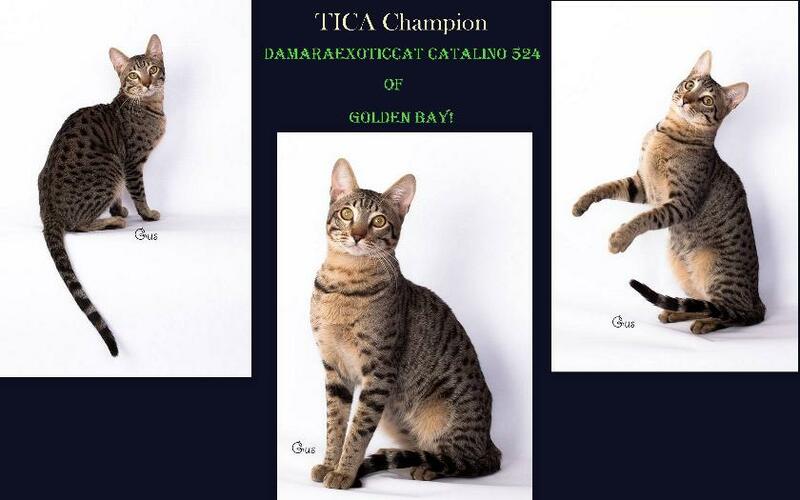 Damaraexoticats Catalino 524 of Golden Bay: After 3 TICA shows as a kitten, Cato shot to the number 1 SV Kitten in the NW Region, including Canada. He was also the 9th Best SV kitten in the world! Cato was from our very firt litter and we were so proud!